Shopping at stores for classroom Valentine’s Day cards for kids to hand out next month can be limited to choosing between Super Heroes or SpongeBob, with other kids likely distributing the same cards. So many parents have resorted to attaching lollipops, stickers or pencils among other items to differentiate their cards from the pack. These adorable designs can be custom made for girls (51 designs), boys (38 designs) or nearly three dozen gender neutral options. Each card is double-sided measuring 2.5” x 3.5” and you can simply place your child’s name on the card, or embed a photo within the dozens of available designs. 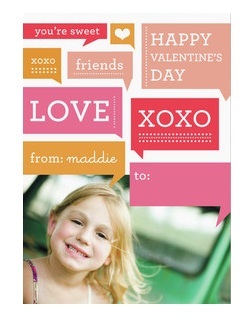 Definitely make time to scan the PearTree greeting card site for custom card ideas. While they have a smaller selection to choose from, their designs are some of the most creative. 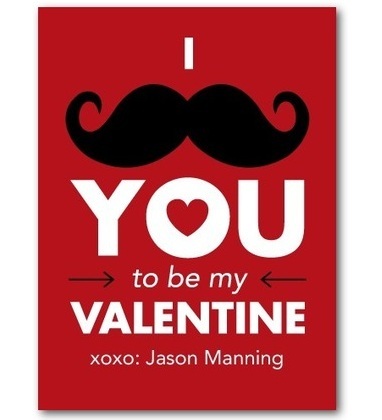 These classroom-sized valentines can have your child’s name and photo place on the front with room on the back to write a personal message, or drawing. With nearly 250 classroom-sized cards to choose from on Tiny Prints, there’s more options including either flat or folded cards. 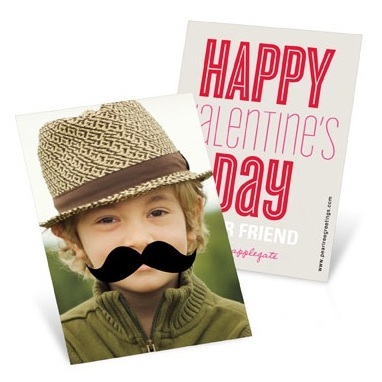 You can select the gender of the card for either boys or girls, and then further refine your search by Best Sellers, New Products, Best Reviews and Price. You can order as few as 10 cards, and purchase increments of 5 cards - the more you order, the less expensive per card the cost becomes. To my delight, Tiny Prints has historically delivered my orders before the expected date.